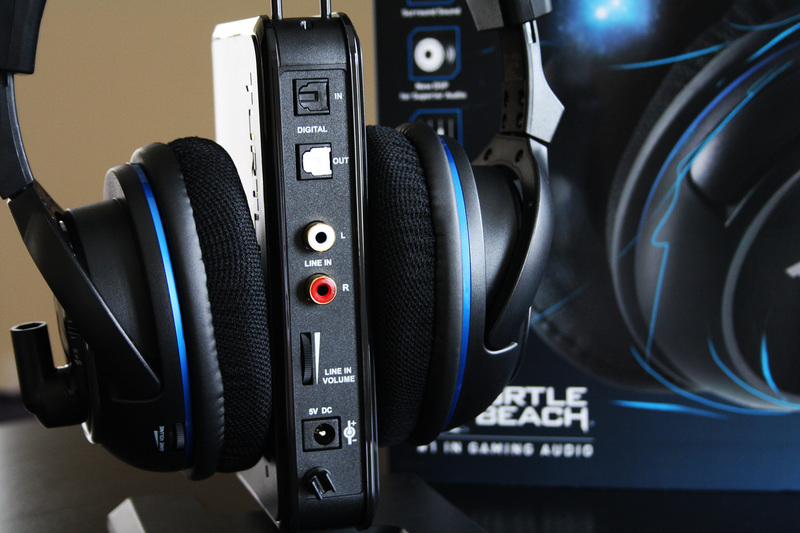 Turtle Beach has been the leading manufacturer of personal gaming audio for a long time. The Turtle Beach PX51 is their flagship headset, sporting all of the elite features you would expect for professional level gaming. Given the investment I’ve put into my home theatre system, a gaming headset has never been something I would have considered purchasing. Now that I am not the only person using the system, having a high quality headset to enjoy while engaging in other activities became a priority to me. I am also going to begin playing Call of Duty competitively and having a headset is more precise for detailed audio sounds. The Turtle Beach PX51’s feature rich DSP enabled surround sound, wireless connectivity including Bluetooth support, customizable presets, and a built-in rechargeable battery. DSP stands for Digital Signal Processing, allowing the headset to process audio digitally and enhance the sound. This is done with customizable game presets that can be set up to adjust specific volumes. For example, you may want footsteps to be louder in Call of Duty or chat to be more integrated for better team communication. These presets are managed via Turtle Beach’s Advanced Sound Editor software. It can be downloaded free of charge from this link. I was a little skeptical at first about surround sound within a stereo headset. After testing out a few matches in Titanfall, the surround audio was more apparent the less I focused on it. Becoming immersed in the game allowed the sound to take over, providing an enhanced experienced different from my home audio system. 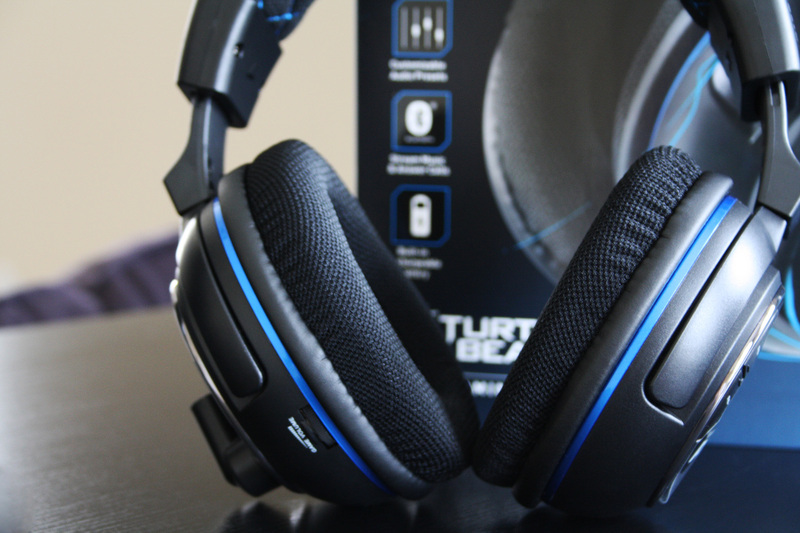 The noise cancellation blocks out all external sound, allowing the game to be your main focus. The sound quality was better than my expectations, for in-game audio and music from my iPhone. Bluetooth volume toggles are on the right side ear cup and the in-game volume dial is located on the left side near the bottom. The microphone can be detached when not in use for better portability. The PX51’s offer a great solution as standard headphones with Bluetooth connectivity options. They can be paired to any mobile device or computer that supports Bluetooth. It can also be used as a headset for phone calls or Skype when the microphone is connected. Playing games or watching videos during extended travel becomes less of a hassle with no wires. I plan to use them for many different situations including gaming on Xbox, gaming, chat and music on PC, and mobile use over Bluetooth. 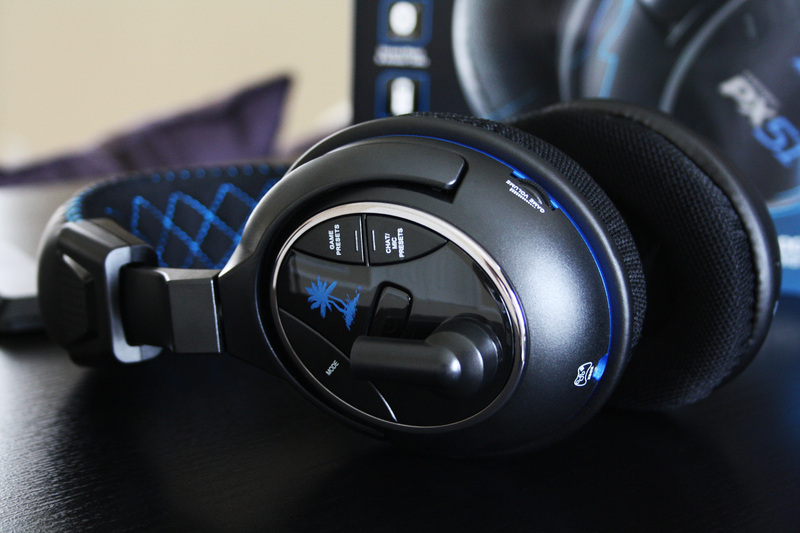 Comfort is a big part of the PX51. All of the advertising on the box details the technological benefits of these headphones, but a large part to their appeal is how comfortable they are. Memory foam is located in the ear pieces to provide a soft match to your ears and lock out sound with advanced noise cancellation. The headband bends with ease and wraps around the top of your head with a layer of cushion in between. One thing I immediately noticed was that the ear cups are slightly slanted inwards. I have never seen this before on headphones and it makes a large difference during extended use. The included wireless transmitter connects directly to a gaming console or PC. The Optical cable must be used for digital surround sound. It connects to the Digital Out port on the console and into the Digital In port on the transmitter. Analog stereo audio will be used when connected to the Line In red and white ports. The Playstation 3 has Bluetooth built-in, so the transmitter is not needed. The headphones can be paired directly over Bluetooth to the console. For the Xbox One, Xbox 360, and Playstation 4, the transmitter needs to be connected and a 3.5mm chat cable is required from the headset to the controller. Surround options are on the front of the transmitter. I discovered a wealth of accessories included after removing the PX51’s from its box. A chat cable, optical, USB data, headset charger, transmitter power, and mobile device cable were included. They all serve a unique purpose, and the only one I did not need was the chat cable as it only supports Xbox 360. The internal rechargeable battery is rated at 15 hours of playback and charges using the included USB cable. It can connect to a USB wall adapter, such as an iPhone charger, if you prefer not to have the headset charge in a USB port. I am impressed with the Turtle Beach PX51 so far, and look forward to using them more once I start playing games competitively later this year.